I downloaded this while the gettin’ was still good, and I’ve got to admit that this turned out to become one of my most favorite records ever — top 10 for sure. Thank you so much for this song & for all the other beautiful & fantastic music! I need more Fado, old fado especially. Any tips on good and available collections? Much appreciated. I stop by every sunday night, Thank you! There is quite a lot on CD, actually. Stay tuned, I plan a major addition to the site soon regarding reissues. You can find three new releases from tradisom in the page http://www.tradisom.com. 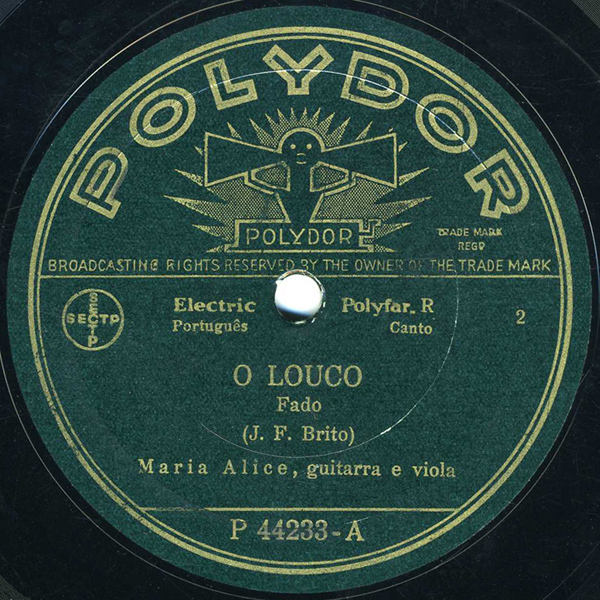 One of those records covers the first 20 recordings of Maria Alice. Fantastic sound. You can listen two. Are the lyrics, either in Portuguese or English, posted anywhere?